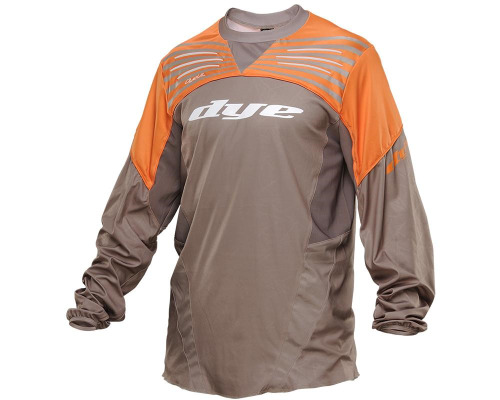 A paintball jersey that actually improves your game, the Dye Ultralite Jersey can do that for you. Athletes need performance gear. They need equipment that??? ?s going to speed them up, not slow them down. These jerseys were made with the athlete in mind, providing a near weightless feel infused with extreme durability, unparalleled flexibility, and style you can wear with pride. To the player who has speed in mind, the player that wants to win, the player that takes all means necessary to get that extra inch on their opponent, the Dye Ultralite Jersey was made for you. Utilizing the incredibly flexible and durable properties of innovative fabrics, Dye??? ?s engineers have developed playing gear that can reduce your profile without restricting movement. Fabric that can stretch in all four directions with ease, which means no matter what angle or position you are in your gear isn??? ?t going to hold you back. Utilizing silicone-injected technology, DyeTack is an adherent grip that improves performance. Our patented DyeTack material is placed on a soft layer of Lycra compression, located on the chest of the jersey. Designed to cling to the back of your tank, DyeTack steadies your marker and increases accuracy. Washing Information:? ?_Machine Wash Cold, Hang Dry Only!